The key to a successful marketing strategy is the knowledge of the preferences, needs and buying behaviour of the target market. This report through the marketing of the protein bars in the Australian market generates a detailed understanding of the different aspects that require consideration for the business development of a sound and effective marketing plan. Due to the low cost of market entry, the threat of new entrants in the protein bar market of austral is considerably high. However, the bargaining power of the suppliers is low as the substitute material for the production of the protein bar is easily available in various sources. Moreover, the presence of strong competitors such as Quest Nutrition, The Kellogg Company, MARS Abbott Nutrition, Muscle Pharm, General Mills, NuGo Nutrition and several others makes, the competitive rivalry level of the industry is considerably high, which might be observed in their exhaustive marketing initiatives (TechSci Research n.d.b). Despite the strong competition, the industry does not face high threat of buyer’s bargain as there is a huge product demand from the industry buyers and the pricing of the energy bars available in the market are considerably similar. However, a certain level of price difference is still there availing moderate bargaining power to the customers. Based on the geographic location, the Australian protein bar market can be segmented in five different segments, namely, Queensland, western Australia, New South Wales, Victoria and South Australia. The consumption of protein bars is highest in New South Wales and Queensland (TechSci Research n.d.a). Which marks that targeting these geographic segments might attract more sales than the others might. Individuals of all age groups, beginning from 2 years might consume protein bars depending on their consumption ability of different level of protein content (Johnson et al. 2017). Based on purchasability market can be segregated in three parts. The top one-fifth of the market that earns over $260,000 might prefer to consume high-end product while the bottom one-fifth of the population, with annual income of $23,000, would seek the economic ones. The rest of the population with average income of $110,000 might opt for the product that they perceive as capable of delivering value for the money (Australia's household income and wealth distribution n.d.). Sports persons, health enthusiasts and individuals with need for protein supplements might be the segments interested in such products. Evans (2015) identified the increasing number of people attending gym in Australia creating market worth $849 million for nutrition supplements. This might be a potential target segment for the protein bars. As per the report of AusPlay, over 17 million people in Australia that is, around 87% of its population participated in some sort of sports activities between the year 2015 and 2016 (AusPlay 2016). Therefore, people associated with sports might be potential consumer segment for marketing this product as well. The Australian market of protein bars might be segmented based on purchase behaviour of consumers. While the regular users might be an attractive segment, event based marketing might encourages the occasion-based consumers. The market might also be segmented between the customers that purchase base on the content of the protein bar and the ones selecting the product based on price. 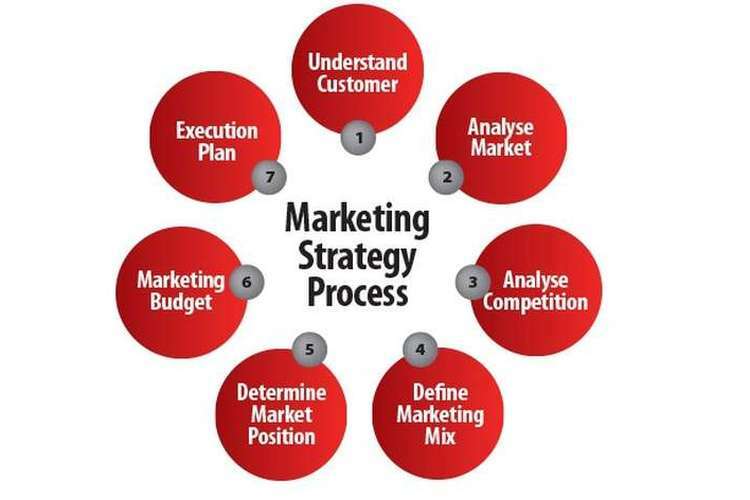 While determining the target market identification of the nature and the needs of target customer is essential. For instance, the protein content of the protein bar consumed by a sports person or gym user is much more than that of a child or an average person. Moreover, the economic context explains the acceptable price range for the chosen market. Identification of the competitors, their products and available collaborators in the target market is also crucial for development of the market strategy. West, Ford and Ibrahim (2015) identified, strong distribution options immensely affects the decision of market entry. Therefore, availability of the large supermarkets and distribution channels like Woolworths Supermarket and Coles in several locations of New South Wales argues in favour of its selection as a target market (Witherby, n.d.). As per utility theory, consumers purchase a product based on the value that they expect the product to deliver (Lerner et al. 2015). As discussed in the previous section, customers of the chosen segment, though is price sensitive yet would evaluate the value comparing the price with the content of the protein bar. Moreover, as the target market is related to fitness and sports therefore the protein bar need to be of high protein content. Therefore, modelling and marketing the protein bar as of high protein content would attract the target customers. Based on the description of the target market, presented in previous sections, it is evident that both quality and price would play an important role while determining the preference of the selected market segment. Hence, along with the customisation of the product as per preference and requirement of the target market, price of the product also needs to be competitive. However, low price of the product might also be interpreted as a reflection of inferior quality, which might risk rejection from the selected target market (Maity & Dass, 2014). A high protein content protein bar with a taste of chocolate and nuts and a hint of orange would be the product marketed. There are several similar protein bars in the market with chocolate and nuts. However, the additional flavour of orange is expected to grab the attention and curiosity of customers in the market. The product would contain soya and partially hydrolysed milk protein isolate with additional whey and yoghurt. Each bar of 80 grams would contain 35-40 grams of protein. The combination of its content makes the product development suitable for consumption of both men and women. The product is expected to appeal to the residents of New South Wales that engage in sports activities, gyms and fitness enthusiasts in general. The price of the protein bars, available in the market, range from $1 to $5 per unit. While some of the market leaders belong to the high price categories most of the bars range between $2 and $3.5. Hinterhuber and Liozu (2017) stated that innovation in pricing might be effective in generating competitive advantage for a company. The demographic segmentation of the target market allowed the identification of the price sensitivity of the customers, while the industry analysis marked the high competition among the competitors, which triggers the need for strategic pricing. Therefore, the price of the product would be set between $1.75 and $2.25 to ensure that its price does not develop negative perception about its quality and makes it appear attractive as well. During the initial introduction of the product to the market of New South Wales utilisation of selective distribution strategy and availing the product only in large supermarkets such as Coles and Woolworths might be helpful in avoiding the possible loss. Based on the reaction of the target market towards the initial batch of the product, significant changes might be brought in the product or its distribution and marketing measures. In addition, the product might also be availed to other parts of Australia through online sights dedicated to fitness and sports nutrition products. As the product receives acceptance in the market of New South Wales it might be availed in rest of the country through both e-commerce sites and retail stores. Both virtual and physical promotional measures would be undertaken for promoting the protein bars. Health and fitness magazines along with the leading sports magazines and newspapers of New South Wales would feature the advertisement of the protein bar. Social media marketing would be used along with television advertisements for ensuring public awareness of the product launch and its availability in the super-markets of New South Wales (Ashley & Tuten, 2015). To utilise the huge number of followers of social media influencers and YouTubers, local influencers, YouTube content creators, or sports and fitness bloggers might be approached for reviewing and reacting to the launched protein bar. Their opinion might influence the acceptability of the product in the target market. Dessart, Veloutsou and Morgan-Thomas (2016) emphasised on the importance of participation in community works and local events for ensuring positive public association with the product. Therefore, to ensure its association with fitness and sports, the product can be promoted during soccer matches and the manufacturer might sponsor a team. Finally, in-store marketing would be used to convince the customers to try samples and perform a purchase for trial. Using nutritionists as sales representatives of the organisation in the supermarkets might help the organisation to acquire preference of the target consumers, as the knowledge of the nutritionists would allow them to explain the nutritional values of the protein bar efficiently. Moreover, it has been observed that in-store sales personnel often spend their entire sales presentation on convincing the customers of the desirability of the product. While at the initial stage of this direct promotion the customers show more interest in the desirability of a product, for performing the purchase, consumers need to be convinced of its feasibility (Willems, Brengman & van de Sanden, 2017). Therefore, the sales personnel need to distribute the entire sales pitch between the contents or value of the protein bar and the ease of its consumption. For instance, the direct promotion might incorporate bite-size samples of the protein bars. Along with the safety and hygiene of the product, aspects like design and marketing message on the packet also influences the purchase decision of the consumer (Raheem, Vishnu & Ahmed, 2014). Therefore, special attention needs to be paid to the aesthetic aspects of the packaging along with the safety of the product inside. As New South Wales has been the home for legendary sportsmen like Don Bradman, Steve Waugh, Glenn McGrath and many more, designing packaging and launching each series to pay homage to one of these legends along with an inspirational quotation might generate swift acceptance of the product in the target market. Completion of this report has provided an understanding of the impact that the nature and needs of the target market has on the marketing strategies of a business organisation. The process of developing a marketing strategy for the energy bar in the Australian market, explained the need for market segmentation and industry analysis as the needs, preferences and dislikes of the target segment guided all the decisions related to positioning and marketing of the product. The study also triggered the understanding that for effective marketing, it is essential to incorporate cultural nuances of the target market in the marketing processes. 1. Ashley, C. and Tuten, T., 2015. ‘Creative strategies in social media marketing: An exploratory study of branded social content and consumer engagement.’ Psychology & Marketing, vol. 32, vol. 1, pp.15-27. 4. Chernev, A., 2018. Strategic marketing management 9th edn. Cerebellum Press, Chicago. 10. Maity, M. and Dass, M., 2014. ‘Consumer decision-making across modern and traditional channels: E-commerce, m-commerce, in-store.’ Decision Support Systems, vol. 61, pp.34-46.